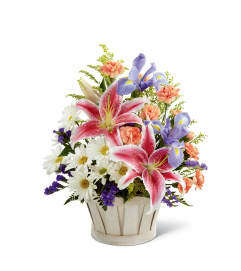 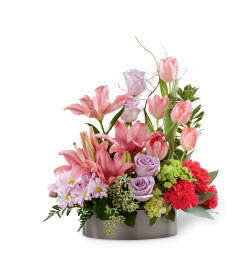 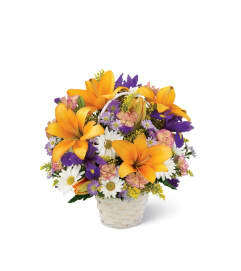 The FTD® Always Adored™ Bouquet is a sophisticated display of sweet serenity. 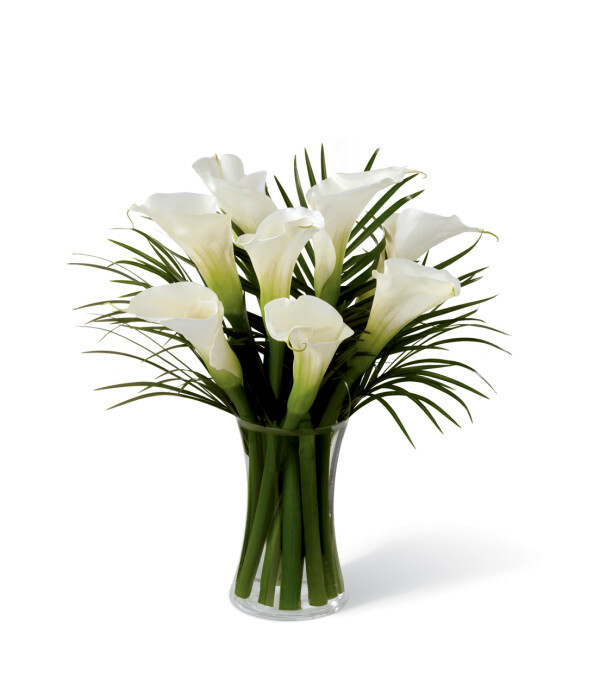 Elegant white calla lilies are simply accented by Phoenix palm leaves to give a look of purity and peace. Seated in a clear glass gathering vase, this bouquet will offer comfort in their time of need.